While most book clubs were started with the intention of discussing books many evolve into enjoyable social gatherings and as members get to know each other, many become keen on the idea of other activities besides book discussions. Group outings and themed nights are popular alternatives – but another option would be to organise a community-minded event together, in particular sharing their love of books with others. Donate used books to the “camel bookmobile” in Kenya! This is a camel-borne library that operates from Garissa in Kenya’s isolated Northeastern Province, close to the Somalian border. The mobile library brings books to the semi-nomadic people who live in the bush, coping with drought, famine and chronic poverty. Carried on the backs of 12 camels which travel to 4 settlements a day, 4 days a week, the books are laid out on grass mats under acacias trees and the excited locals come to choose their books, which can be kept until the next visit. Ideally, books need to be in English or Swahili, the main languages of Kenya. This amazing library was launched in Feb 2007 and has received donations of books and money from generous book lovers, from libraries to publishers, businessmen to authors. A novel has just been released about this initiative, called “The Camel Bookmobile”. Organise a garage sale with items from all the members and donate the profits to a chosen charity. Each member brings a childhood book and all can be wrapped up and donated to a local school, library or children’s charity. Surprise someone outside the reading group with a gift of a book that your book club has read and enjoyed. Help the National Literacy Trust – this is an independent charity dedicated to promoting literacy in the UK. On a national level, literacy is important for educational achievement and economic advance whilst on a personal level, it raises self-esteem and helps develop your individual potential. The charity’s mission is to promote literacy as a valued part of everybody’s life, whatever their age group, so that everyone has the reading, writing and communication skills needed to help them achieve their goals. Organise a sponsored event to raise funds for literacy or a chosen charity. The event can be an experience linked to a recently read book, which members may not have tried before – for example, organising a kite-flying competition after reading Khaled Hosseini’s “The Kite Runner”. Use one of your meeting times to volunteer as a group at the local soup kitchen or shelter. 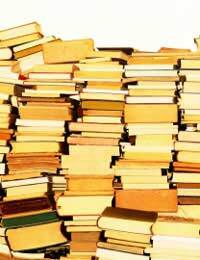 See if they accept book donations and bring along some books that residents might enjoy. Plan a suitable parent-child book title for one of the months and bring kids along to one of the meetings, to take part in discussions. Organise a book collection in the local area and donate to a women’s shelter. In particular, look for books for children and books that provide good escapism for women. Especially just before Christmas and other big holidays, get together with the group and suggest books that make good presents for others outside the club. Spread your group’s love of reading by encouraging reading in others! Ask all members to prepare a meal or food item that can be donated to a local charity, shelter or food bank. Make a donation of money or books to a charity in your book club’s name. Start a book club for the younger members of the book club members’ families, e.g. the sons, daughters, niece, nephews or grandchildren. Alternatively, you could have a discussion one meeting to get ideas from other members on things the group could do for the community. You may find things suggesting themselves out of books the group has recently read or from each member’s individual experiences.